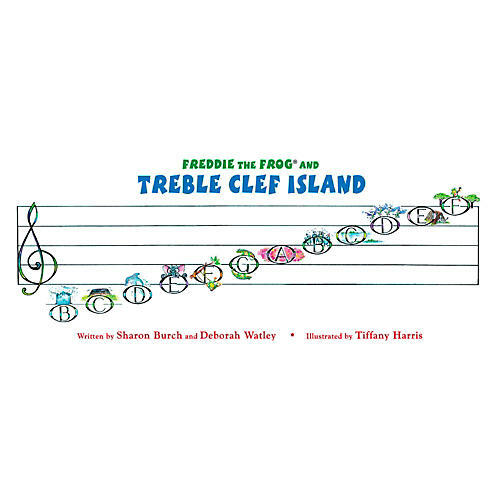 Corresponding poster to Freddie the Frog's adventures on Treble Clef Island, Freddie the Frog and the Thump in the Night and Freddie the Frog and the Secret of Crater Island. Question side is black and white. The colorful illustrated answer side includes twelve line and space treble clef notes: B below the staff, middle C, space D, E, F, G, A, B, C, D, E, and line F. 10-1/4? x 25-1/2?